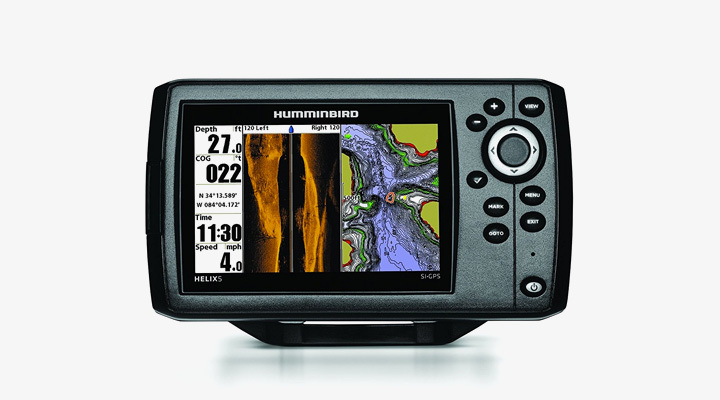 Humminbird Helix 5 SI GPS Fish Finder: Last year, Humminbird launched a new series of fish finders by the name of Helix 5. This device has a brilliant and larger 5-inch screen with 480 x 800 resolution display having 256-colors with a backlighting feature which allows the user to see detailed and clear image no matter what type of lighting there is or whether it is day or night. The new screen display is really the only thing that has been changed and the software and the transducers have been taken from its earlier models of 800 and 600 series. The same large digits which give the reading about depth, vessel speed, and water temperature took up very much of display. There are many different versions included in the Helix 5 series with some having only the sonar, while some having side-imager with GPS. 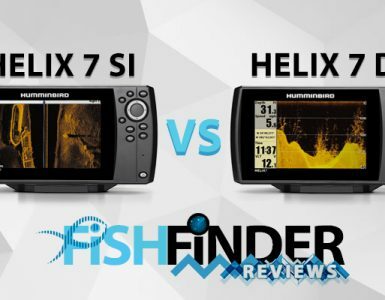 The Helix series provides its users with reasonably priced, compact fish finders which have all the features of an expensive fish finder models with a price which is quite same as an older model. 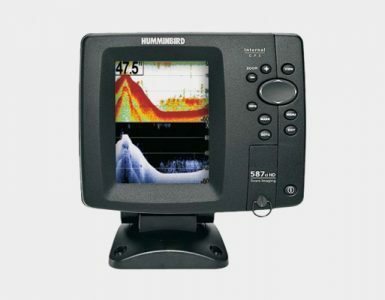 The Humminbird Helix 5 SI in real includes the features which make it be a competitor of the Humminbird 859ci. The Humminbird Helix 5 SI is an ideal angling tool for an amateur as well as for seasoned fisherman because its cost doesn’t include a lot of money and fits perfectly for both. In real, Humminbird Helix 5 SI GPS is really 7-inch 899 models’ scaled down version, the chief difference between both is the display size. However, the internal GPS of Humminbird Helix 5 SI has been improved and gives out the perfect location of fish as compared to older models. Helix needs a direct current of 10 to 20 volts. The unit changes this into an average sonar power of 500 watts with a peak-to-peak 4,000 watts output. The 2D sonar penetrates as far as 1,500 feet down by sending out a 200 kHz sonar wave in a 20-degree cone shape. Using this narrow beam, the width of the image will be just one-third the depth being reached. The 2D sonar pierces down as far as 1,500 feet by distributing out 200 kHz sonar in a 20-degree cone-shaped wave. Due to the beam being narrow, the image’s width is just one-third of the depth reached; which means that an image displaying a terrain at a depth of 24 feet will only go eight feet in depth. Also, the Helix 5 SI GPS lets 2D sonar having an 83 kHz beam which encompasses 60 degrees, this mode allows the image to be as wide as it is deep but it makes the view having lower-resolution. A feature named Quadrabeam Plus allows the user to have 90-degree coverage of an area. 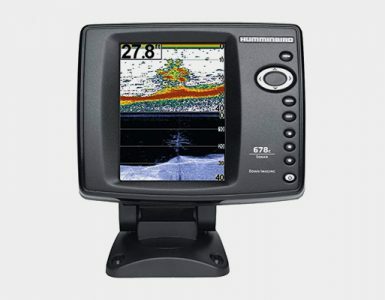 Humminbird helix 5 SI GPS combo fish finder is able to give side imaging and down imaging high-frequency sonar, with the use of side image of this best fish finder, a user can get side-to-side 180 degrees perspective of the underwater terrain with 480 feet in width on any side of the boat at maximum 100 feet depth. This is done using dual sonar pulses which operates at 455 kHz; which makes it the best fish finder less than 500 feet. The clear mode is to be used when you are in search of bait, game and school fish. It provides you with clear images and filtering debris, silt disturbances, and weak signals. It can be used to see game fish and bait, man-made structures, natural structures, and thermoclines, with this feature angler can also get a chance to see jig action onscreen. SwitchFire also gives color-coding to display which things are nearest to the boat, for example, the item nearest to the boat would appear orange, on the other hand, the item at distance would appear in blue color. This feature also has an option to change the color scheme in different situations life for overcast days or nighttime. Talking about other great products released by Humminbird then Humminbird 140c and Humminbird 385Ci are really worth the money.